Roy j. Plunkett, he is the discoverer of Polytetrafluoroethylene. Roy J. Plunkett was born on June 26, 1910. He died on May 12, 1994 at the age of 83. Teflon was accidentally invented in 1938, at the 'DuPont Jackson Laboratory,' which is located in new Jersey. 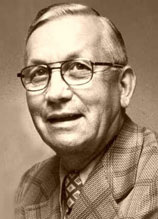 Roy J. Plunkett had an assistant known as Jack Rebok. Roy J. Plunkett received the John Scott medal from the city of Philadelphia in 1951, for an invention promoting the "comfort, welfare, and happiness of human kind". He was inducted to the 'Plastic Hall of Fame in 1973 and the National Inventors Hall of Fame in 1985. During the first 10 years of discovering PTFE Roy J. Plunkett and the 'DuPont' investigated the PTFE to find more information about PTFE. PTFE was found to be most slipperiest substance known to man kind, has high molecular weight, it's hydrophobicity, has a low coefficient of friction against solids, it's thermoplasticity, has a high electronegativity and it has a low chemical reactivity.